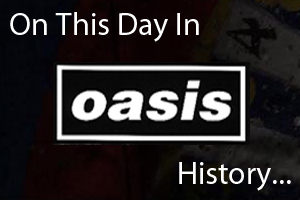 Oasis made their first national television appearance on Channel 4's The Word on March 18th 1994. Watch them play 'Supersonic' below. On March 18th 1998 Oasis played the second of two nights at Luna Park in Buenos Aires, Argentina. This was the last televised concert that featured founding members Bonehead and Guigsy in the line-up.